Find out who is the star kid? Salman Khan is known for promoting new faces in the Bollywood and now again the Superstar is all set to launch a new face in the Bollywood. Talking about recent times, the actor has launched his brother-in-law Ayush Sharma in the movie Loveratri which is doing rounds on the internet for its songs and trailer. In past, Salman Khan has launched Zarine Khan, Daisy Shah, Sonakshi Sinha, Sooraj Pancholi, Athiya Shetty, Sneha Ullal Sana Khan and none other than her favourite co-star Katrina Kaif. Now Salman will launch this star kid. 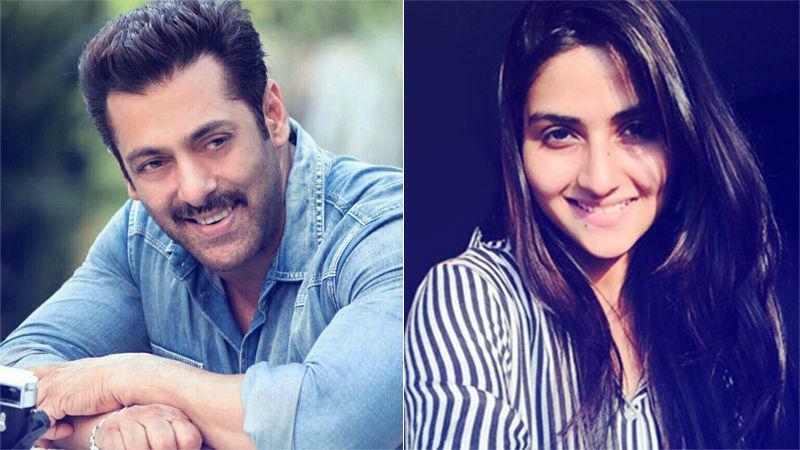 Salman Khan says that he is proud to introduce late actress Nutan's granddaughter and actor Mohnish Bahl's daughter Pranutan in Bollywood.Salman, who has previously launched fresh faces like Sooraj Pancholi, Athiya Shetty, Warina Haussain and his brother-in-law Aayush Sharma, took to Twitter to introduce Pranutan. "Yeh lo! Zahero ki heroine mil gayi (found Zahero's heroine). Swagat karo Pranutan Bahl ka (Welcome Pranutan). Proud to introduce Nutanji's granddaughter and Monya's daughter on the big screen," Salman tweeted along with a photograph of the debutante. The yet-untitled Kashmir-set love story will also introduce Zaheer Iqbal (Zahero).